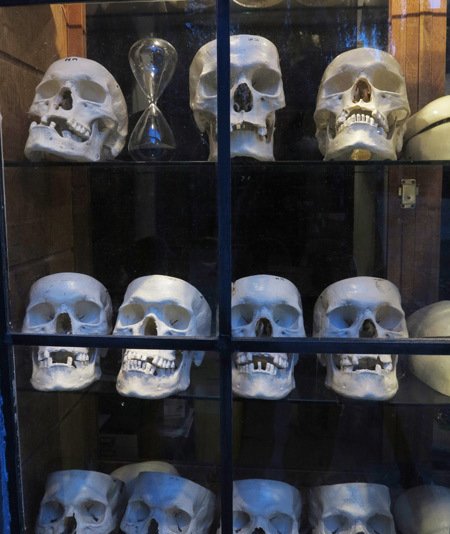 Memento mori is an assemblage of selected objects from my collection; models of human anatomy that normally line the shelves and cupboards of my studio. Ignoring the warnings that such objects of vanitas convey (the transient nature of all earthly goods) I never the less continue to add to my compendium of bizarre objects. All this implied significance seems to go unnoticed however. Few viewers engage with the symbolism and review their own existence. They, like me are drawn to the objects. 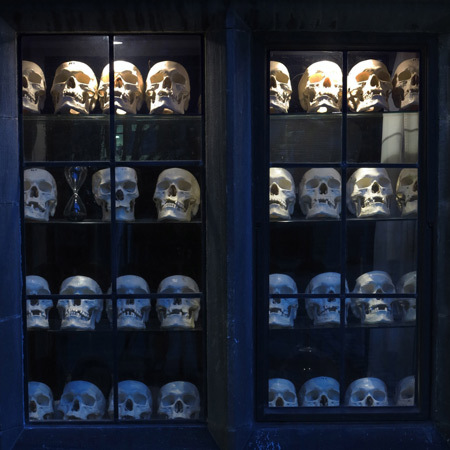 The unexpected site of so many skulls fascinates, they laugh and become engrossed in debates as to whether they are real or not. 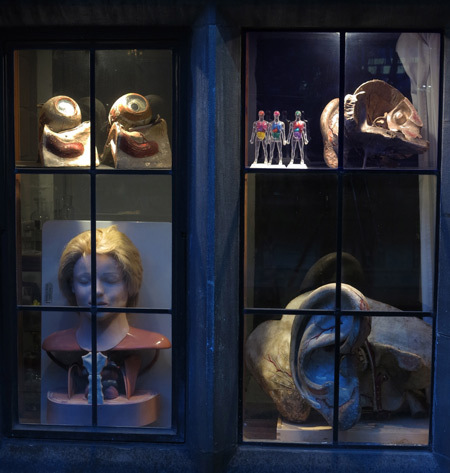 They take turns in being photographed in front of the windows, parents in particular encouraging their children to pose next to the skulls. Perhaps this is significant, the fascination with something they consider so separate, so distant from? They are revelling in the contrast between life and death. Maybe this is how the symbolism works - remember you must die but not yet, not yet.